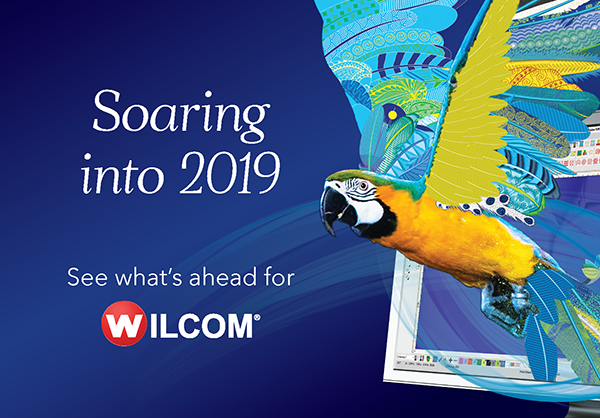 As Wilcom flies towards 2019, users from around the world have been anticipating what they will see in the New Year. Well, the answer is an exciting new flagship release, EmbroideryStudio e4.2! Most importantly, this update is FREE to all existing EmbroideryStudio e4 users. The new release delivers an assortment of both productivity and speed improvements, making this version the most robust and powerful that Wilcom has ever developed. “64-Bit support allows a digitiser to use higher resolution images and much larger design files when creating their embroidery designs. Previously, 32-bit versions were inhibited by the PC memory limitations. They are now free to create far more extensive designs.” explains Brenden Prazner, Senior Product Manager at Wilcom. Enhanced font preview display. Now with a solid color fill, you can instantly preview any font directly within the list. This includes custom lettering too. 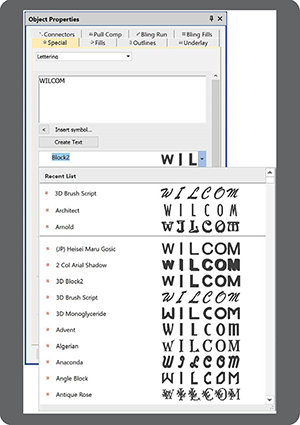 In a world where outsourcing the creation of complicated embroidery designs is becoming more and more common, Wilcom’s Auto-Digitising enhancements in EmbroideryStudio e4.2 are a welcome addition. This helps an embroidery business to easily and quickly create embroidery logos from their clean vector graphics. “We have greatly improved our colour detection and shape creation technology, helping to create cleaner vector shapes used in the embroidery conversion process.” says Prazner. 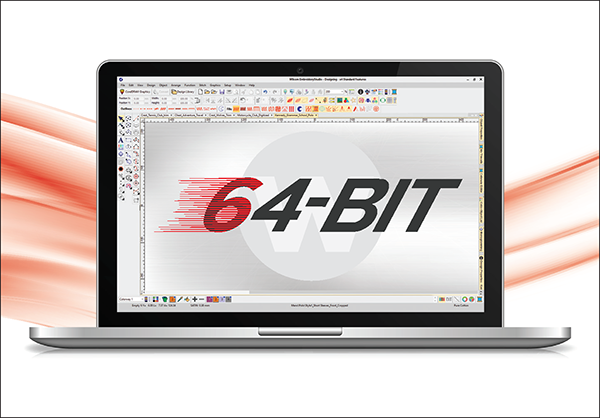 EmbroideryStudio e4.2 has added brand new embroidery-ready design templates into the software. These include a variety of business logos such as cafes, cleaning and construction services. 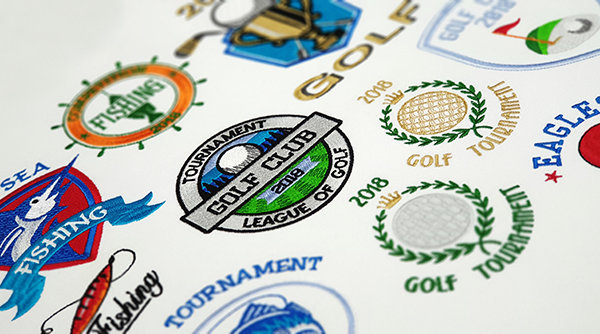 There are also many sports logos for golf, football, basketball and more. New design templates will be released each month, ready to download and import into your library. Wilcom’s EmbroideryStudio e4.2 will be released as a FREE UPDATE to all existing EmbroideryStudio e4 users. To download when available, simply visit www.wilcom.com/e42.